Well it was exactly 2 weeks ago on the 17th of March when Abraham Hicks spoke live at the Sydney Exhibition Centre. It was so exciting to watch Abraham live again, they rarely come to Australia, i think the last time i saw them live in Sydney was in 2009. I was sitting in the 3rd row from the front, next to a bunch of other Abraham enthusiasts. It was so lovely to see so many other fans there. As always watching Esther Hicks channel Abraham live is amazing, as you get to experience first hand how perfectly they answer even the toughest questions. While i was too shy to ask my questions, my questions were all answered by the end of the day, and the conference ended perfectly. I took my sister along and it was her first time seeing Abraham live, so i wasn’t sure what she would think. But she had a great time, and even admitted that seeing Esther become Abraham on stage really makes their teachings a lot more real. Afterwards i got a bit carried away at the Hay House book stand outside, and bought about 5 Abraham Hicks books including Ask and It is Given (too well priced not to buy a second copy, The Amazing Power of Deliberate Intent and The Astonishing Power of Emotions. 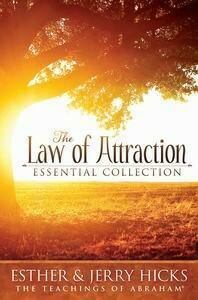 The one im really excited to read is their ‘The Law of Attraction – Essential Collection” which is a compilation of their 3 best sellers; The Law of Attraction, Money and the Law of Attraction, and The Vortex, as well as their Law of Attraction DVDs. For anyone who missed out i dont think its available on their website yet but you can buy it from Booktopia Overall it was a wonderful sunday to spend co-creating with other like minded individuals. I thought it would be fun to wear my Keep Calm and Co Create t-shirt from my Redbubble site. I got a number of lovely comments from other people at the conference who knew what it meant 🙂 I would love to hear from other lovely people who attended the conference, how was it for you??? I remember also desperately trying not to think ‘I wish my arms didn’t look so fat on the big screen’. LOL. Humans! Hi Lynne, nice to meet you! Wow you got to speak to Abraham? that’s wonderful to hear, you certainly manifested you’re own luck i’d say. While i wasn’t on stage either, many of the talks are a bit blurry in my head so im also looking forward to ordering the CDs, i haven’t had a chance yet. 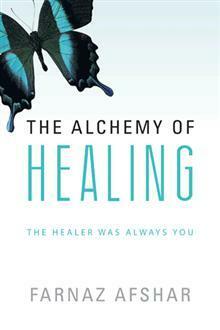 Did you fly from the UK just to see Esther Hicks? Or where you here already for something else? I’ve often wondered if Abraham Hicks hold any gatherings in the UK at all? I wish they would come here more often, there is something on every week in the US. From what i recall the first time they came (Jerry was here as well), it took a good few months to get the CDs, i was wondering if my order had been lost. I’d say wait a few more weeks and then contact them if you’re concerned?